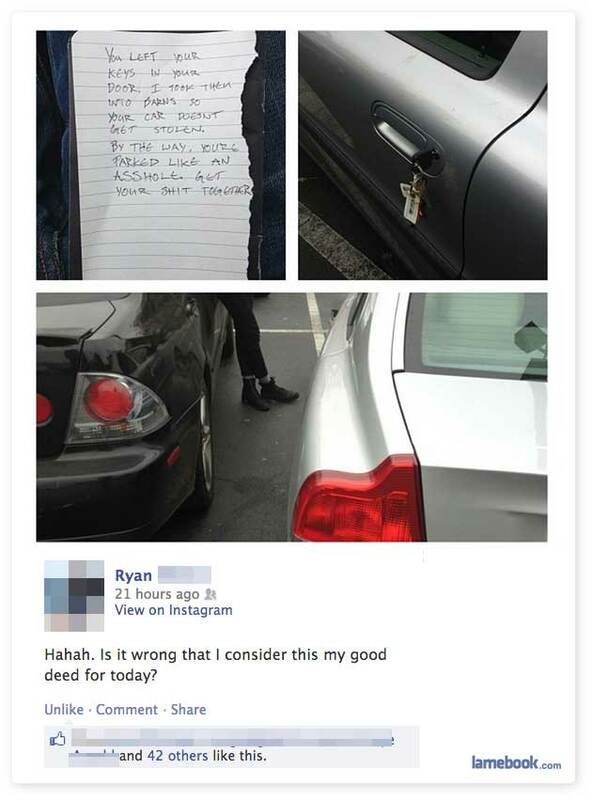 I was expecting the person to key the car with the driver’s keys because of the bad parking. That would have been kind of funny. ^ Kind of cliché, more like.